Hollybeary Creations : 'Tis the Season with a Sketch! 'Tis the Season with a Sketch! It's time for a new sketch this week at 'Tis the Season... Have you started on your Christmas cards yet? I know.. it's only April but it's really never to early to get a head start. Join us every other week for a new challenge and you will have them ready to go by Thanksgiving!! I created a card using Watercoloring, Embossing and the Stampin' Up! Watercolor Winter set. I stamped the Holly outline image several times onto a piece of watercolor paper and heat embossed it in white and then I colored it with Distress Inks. Once that was a dry I added a vellum layer that I embossed the sentiment onto in gold. 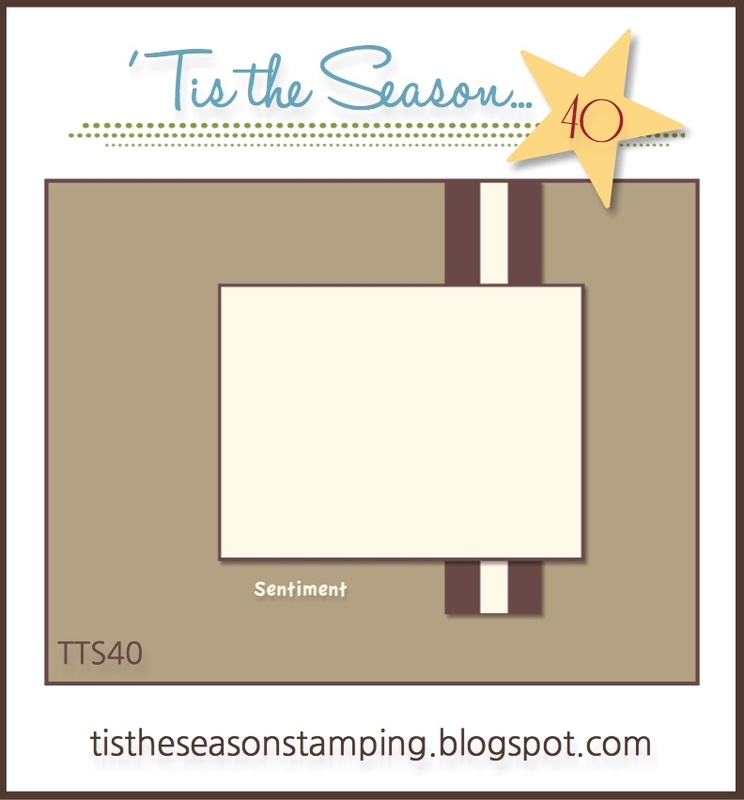 The sentiment is from the older Stampin' Up! set Delightful Dozen. 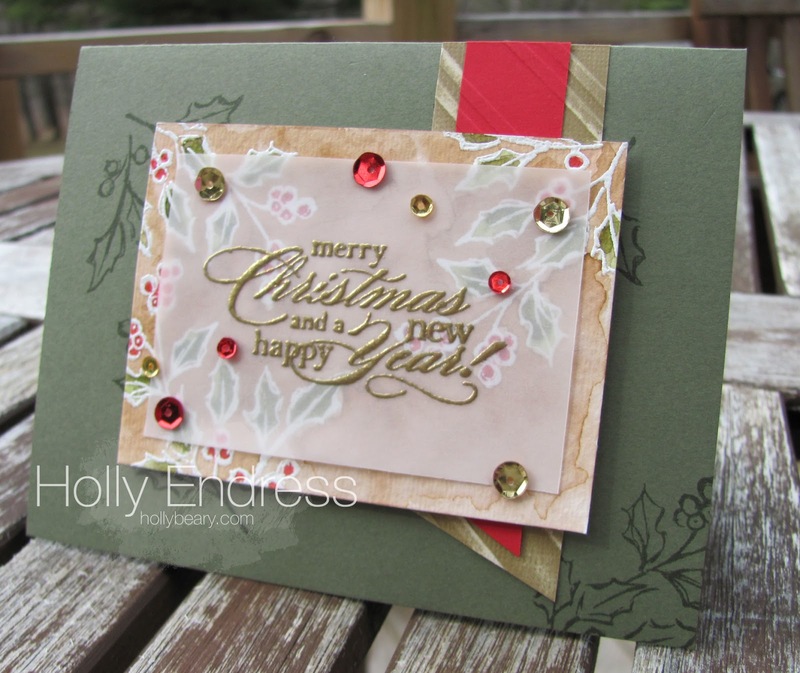 I created an Always Artichoke card base and stamped the Holly image in the same color ink and then I added a strip of Baked Brown Sugar Core'dinations card stock that I embossed with the Diagonal striped folder and a strip of Real Red card stock that was embossed with the same folder. 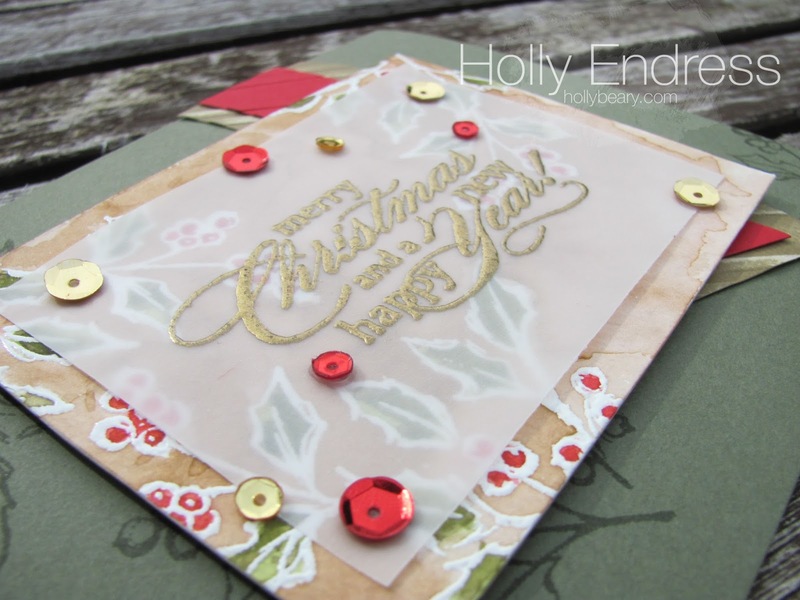 I added some Pretty Pink Posh sequins around the Sentiment to hide the glue for the vellum. Head over to the 'Tis the Season blog and see what the other Design Team members created with the sketch and we hope you will join us! This is absolutely gorgeous, will go straight to my Xmas card inspiration board!